Have Another Space in Mind? 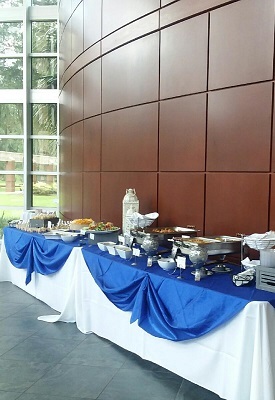 We specialize in off-property events and have catered at venues throughout Gainesville and surrounding areas. Our full-service. 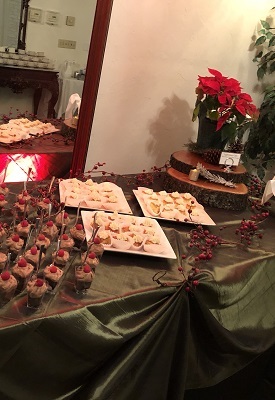 off-site catering includes food, beverages, linens and full event staffing to meet your needs. 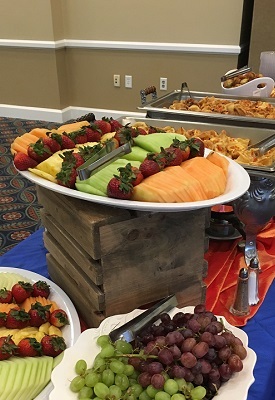 For more simple requests, convenient drop off is also available for breakfast, lunch, or dinner services for business meeting, conferences, parties, or memorial luncheons. Consider Sweetwater Catering Co. for any occasion where you are entertaining at your home, business or other location. 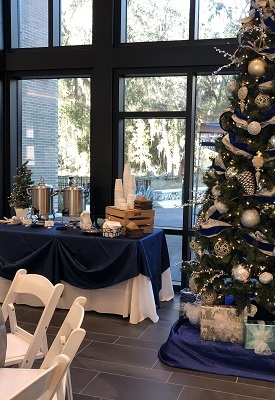 Sweetwater Catering Co is now taking orders for your next Gainesville holiday party! 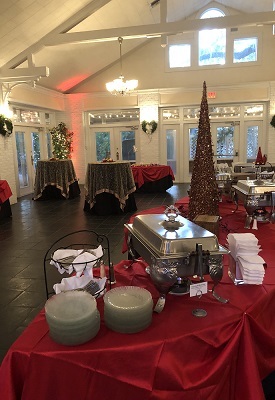 Whether you are just looking for a festive spread to keep your guests satisfied or need a fully-staffed event, your event will go off without a hitch with the expert help of our event coordinators. You have enough things to worry about during holiday season, so let us handle the food and beverage.